Smartphones are important elements of our daily life, and their continuously improving performance means that even now photography is almost exclusively entrusted to them. But a printed photo – you know – has a whole other meaning: that’s why soon we’ll see the best portable photo printers for smartphones! Why choose smartphone printers? In addition to the convenience of having a small printer and always ready to use in your travels, another big advantage is the absence of cartridges: through the sublimation technique, the colors layered on the photo paper ” come to life ” and show the image taken. In short, just like a Polaroid but with yet another important convenience, or the fact that you can choose which photo to print without risking to ruin a print. The only flaw is that, as you can imagine, the reams of sheets are not very cheap and must be compatible with the printer. Before leaving you to our selection, here is the top 10 of the most popular instant printers of the moment on Amazon. The ranking is updated daily automatically. 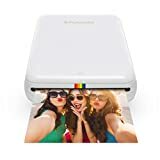 1 HP Sprocket Portable Photo Printer, X7N07A, Print Social Media Photos on 2x3 Sticky-Backed Paper -... 1,344 Reviews $99.95 $69.95 See Offers! 2 Canon IVY Wireless Bluetooth Mobile, Portable, Mini Photo Printer, Rose Gold (3204C001) 101 Reviews See Offers! 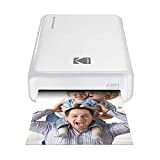 3 Kodak HD Wireless Portable Mobile Instant Photo Printer, Print Social Media Photos, Premium Quality... 74 Reviews $89.00 $73.95 See Offers! 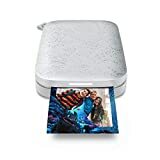 4 HP Sprocket Portable Photo Printer (2nd Edition) – Instantly Print 2x3 Sticky-Backed Photos from... 97 Reviews $129.95 from $119.99 See Offers! 5 Kodak Dock & Wi-Fi Portable 4x6” Instant Photo Printer, Premium Quality Full Color Prints -... 724 Reviews $149.99 $139.95 See Offers! 6 Fujifilm SP-2 Silver Instax Share SP-2 Smart Phone Printer, Silver 542 Reviews $119.89 See Offers! 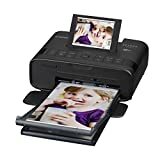 7 Canon SELPHY CP1300 Wireless Compact Photo Printer with AirPrint and Mopria Device Printing, Black... 387 Reviews $129.99 $99.48 See Offers! 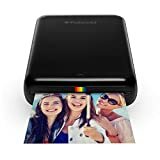 8 Polaroid Zip Wireless Mobile Photo Mini Printer – Compatible w/iOS & Android, NFC & Bluetooth... 2,306 Reviews $99.99 $93.60 See Offers! 9 SereneLife Portable Instant Mobile Photo Printer - Wireless Color Picture Printing from Apple... 107 Reviews $84.99 See Offers! 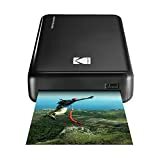 10 Kodak Mini 2 HD Wireless Portable Mobile Instant Photo Printer, Print Social Media Photos, Premium... 111 Reviews $89.99 See Offers! Below we have collected the best portable instant printers instead. For each of them, we will also provide a brief description to highlight features, details and strengths. The best portable smartphone printer, at the lowest price, is without a doubt the Kodak mini portable mobile instant photo printer – available in Black, White and Gold – is easy to use thanks to the integration with WiFi, Bluetooth and NFC so you can be used by any smartphone and wireless to print good quality 5.4 x 8.6 cm photos! If you can give up, some comfort (wireless connection) and have a more professional tool, then this Kodak Dock & Wi-Fi Portable is for you! With 9 x 14 cm photos with crisp and accurate colors, this smartphone printer can connect via the Android / iOS app with a connector at the top, or even via USB. Download an app on your smartphone, and print everything you want immediately! With the Canon Selphy CP1300 this is possible thanks to the WiFi technology and many features accessible from the app or the keys on it. There is also an SD input or cable connection and the ability to print up to 54 photos at a time (10 x 15 cm) easily selectable thanks to the LCD display! 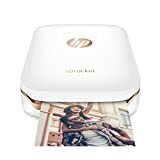 But if you’re looking for a much less complicated and more intuitive smartphone printer, then you should take a look at the HP Sproket: download the app, connect via Bluetooth 3.0 and print whatever you want! Simple, no? With it you can print 10 photos at a time (from 5 x 7.6 cm) even adhesive and without borders! Take a look here. Polaroid certainly could not miss the call, and its smartphone printer could only be one of the best: with prints of 5 x 7.6 cm high quality, the Polaroid ZIP is one of the most portable and functional thanks also Bluetooth and NFC connections that use ZINK (Zero Ink) technology to achieve excellent results. If you are fond of old snapshots with a 1: 1 format (6.2 x 6.2 cm), then for sure this Fujifilm Instax Share is what you are looking for! Thanks to its size, rechargeable battery and WiFi connection, this is one of the most portable smartphone printers! In addition, thanks to the app you can select templates, filters, tags or photos from your social networks: definitely worth a look.